To some, "do a barrel roll" is more than a suggestion. Doing a successful barrel roll in a car is easier said than done. Anyone can flip a car, but it takes true skill to do it on purpose and stick the landing. The bad (as in good) barrel rolls featured here all feature clean landings and are truly a must-watch for anyone who likes stunt driving. If you don&apos;t like stunt driving but appreciate good CGI, then the faux barrel rolls featured here will be right up your alley. Some people just aren&apos;t ready for the glory that is a real-life automotive corkscrew. Team Hot Wheels and stunt driver Brent Fletcher set a corkscrew/barrel roll world in this clip. Fletcher manages to do a 92-foot 360 spin in his highly modified, though still heavy (2,600 pounds), buggy. Rob Dyrdek wants to say he kickflipped a Sonic, but everyone knows that all he did was a successful barrel roll. You&apos;ve got to love the MTV star closing his eyes in fear as he&apos;s flying through the air. 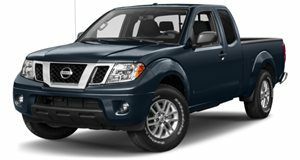 Nissan used the allure of a barrel roll to try and sell the Frontier. The commercial featured excessive CGI and some bad acting at the end. Looks like Nissan needs to take some notes from Chevy. James Bond has always been a trend setter. The fictional spy was doing barrel rolls longer before Brent Fletcher and Rob Dyrdek. The addition of the slide whistle to this clip is awesome. Nissan should have watched this Mercedes-Benz barrel roll commercial before it shot its Frontier spot. In case you were wondering, this spot for the SLS 360 is a fake. Pretty sneaky, sis.